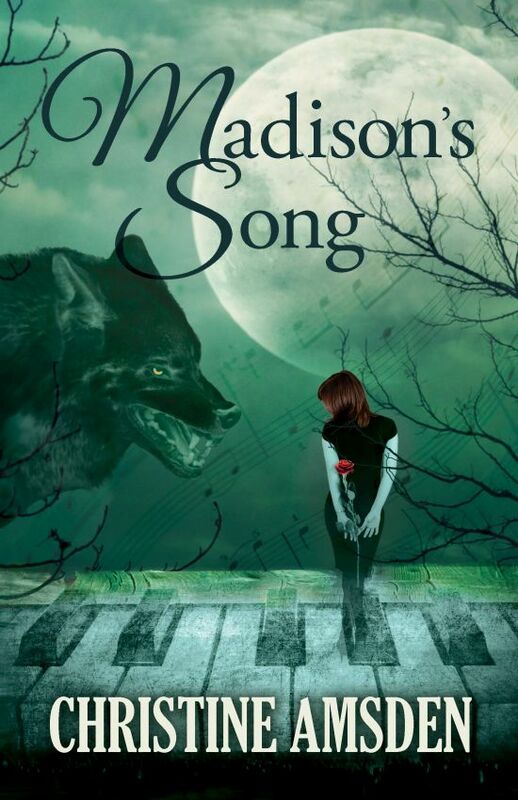 Madison’s Song is the latest addition to the Cassie Scot Paranormal Detective fantasy/mystery series. Though not the latest instalment, it is a stand-alone, companion book to the series and, though there are mystery elements in it, it is primarily a romantic fantasy. So far I’ve read and enjoyed all of the books and this one didn’t disappoint. As usual, Amsden delivers a fast-pace, highly entertaining read with fully sympathetic and compelling characters. This time I was especially swept away by the romance between Madison and Scott. Madison Carter is a sweet, shy music teacher from a small town. When her brother Clinton’s life is put in danger, she must unwillingly join forces with Scott Lee, a very alluring and dangerous alpha werewolf, to find Clinton and help him. Scott is slave to the moon, a vicious killer and man-eating monster, but he has a soft spot for Madison, whom he was forced to “mark”, make love to, two years ago in order to save her life. Since then, they’ve been bonded in more ways than both are willing to admit. Needless to say, sparks fly from the very beginning. As they follow the trail to Clinton, they find themselves thrown in a secret lab, prisoners of a psychopathic doctor with a very dark agenda. Romance, suspense, mystery, action and thrills abound, and then some. Fans of the Cassie Scot series and romantic fantasy will gobble this one up. Amsden hooks us from page one and doesn’t let us go until the end. With minimalist descriptions, non-stop action, and skillful characterization, this author delivers a tale that both engages and captivates. I was also impressed by the world building and all the fascinating dynamics about werewolves and their packs. I was able to forget reality and immersed myself into the world of the impossible. Highly recommended! Visit the author’s website or find out more on Amazon. You can also check out the publisher at Twilight Times Books. Nine Planets by Greg Byrne is the first book I’ve read that combines science fiction and the Santa Claus myth. Original idea! We first meet our protagonist, Corporal Peter Blackwell, when he wakes up from a coma with a head injury at a medical facility of North American Space and Air Defence. They tell him that he’s a “dungeon watcher” for the NASAD and that he’s suffered an accident – one that has left him with amnesia. Blackwell finds himself having weird memories of smells and sounds, in a world where suicide – the Black Despair – is a common occurrence, and also learns that bound up with his identity is a vital secret that must remain concealed because the future of millions of lives is at stake. The secret is linked to a comet that’s approaching earth, and there are those who will stop at nothing to extract his secret, then kill him. Nine Planets is a very real, human story with multiple layers. It is a story about hope, a theme explored in a setting where suicide is completely acceptable. Peter Blackwell is a sympathetic protagonist. Brave, determined, and loyal, he’s surrounded by an interesting array of secondary characters. Byrne is a talented storyteller who pays special attention to language and possesses a writing style at times simple and straightforward, at others lyrical. The technical and science aspects are very well done as well. 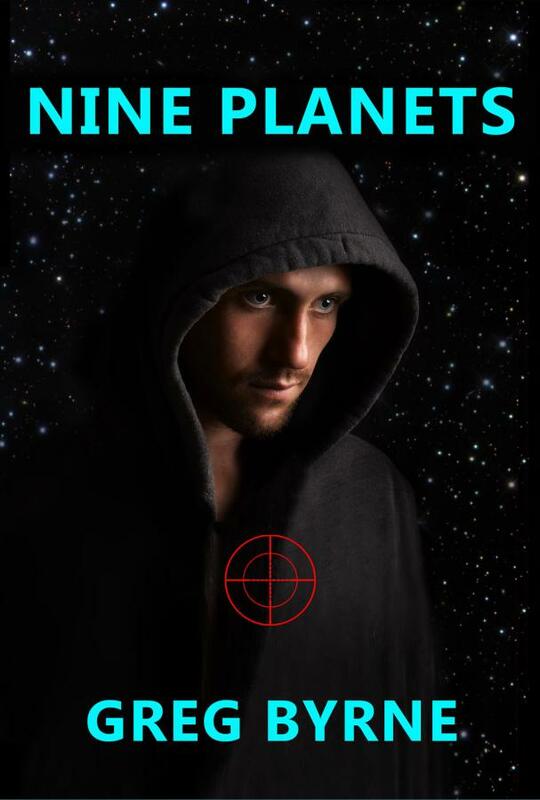 Part mystery, part thriller, Nine Planets is a science fiction novel quite different from others on the market. If you love SF novels and thrillers, I recommend you give this one a try. My review was originally published in Blogcritics Magazine. When I started reading this book, the first thoughts which came into my mind were that, it’s amazing how ignorant one can be, about events which happened in your own lifetime. Being a British child at the time these events were taking place, somehow they slipped into a hole between the history I was taught at school, from ancient up to and including WWII, and the recent history which I remember as an adult. The main character in the story Florina, is a young colored woman who has married Dr Richmond Austin, and moved to his home town Poinsettia, in the South of America. Her new in-laws are very welcoming and her new home is to be his grandparent’s house. However, she very quickly discovers that her new neighbour Agnes, who is married to the other colored doctor in the town, Macon, used to go out with Richmond, and Florina fears that the attraction is still there. However, she has her own secret, one not even her parents know… A secret which lies buried in her heart and which she can only hint at in her very poignant poetry. 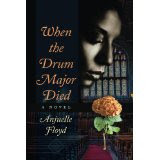 This incredibly absorbing story is set at a very turbulent time for the colored people of America. The Civil Rights movement was strong, and was led by the Baptist minister and activist Martin Luther King Jr., a man who worked tirelessly for, and who played such a strong part in the ending of the legal segregation of the African-American people. However, another element of this story, which was very interesting to me, is that I never realised that there was such color snobbery within the families of colored folk, causing so much tension, prejudices, terrible rifts, and great sadness. This was so evident in this book, where at one end of the spectrum there was immense color pride and at the other the seemingly desperate need to appear white. This book is amazing, I thoroughly enjoyed reading it. For me, it has all the essential ingredients for a good story excitement, intrigue, love triangles, lies, deceit, confessions, betrayal I could go on. However, more importantly for me, it gives a fascinating fly on the wall account of what it was really like as a colored person to live in those times, something I would never be able to experience otherwise. I can’t believe this is the last book in the Cassie Scot new adult paranormal mystery series! I really have enjoyed this series a lot. In this the final installment, talented author Christine Amsden brings the infamous Scot vs. Blackwood family feud to a close, but not without filling her story with enough intrigue, mystery, twists and surprises to keep you thinking about the characters for a long time. And this is, really, the biggest draw in these stories, the characters, especially Cassie and Evan. Cassie has been such a likable protagonist throughout the series, smart and strong and opinionated, yet caring and warm-hearted. Evan –yes, arrogant, condescending and overprotective Evan — has also been the perfect hero. They were school sweethearts…until Evan’s father stole her powers from her and gave them to Evan, thus starting a conflict between them that brought them to the depths of despair, especially for Cassie. There are many subplots in this book, but the main problem happens when Cassie’s father is killed and she and her family think that Evan’s dad is the one responsible. The primary storyline has to do with finding out if this is true or not and, if not, then who, in fact, is responsible. There are many surprises in Stolen Dreams, and I enjoyed all of them. Fans of romance will especially enjoy the focus on Cassie and Evan’s relationship. I loved the ending. In sum, this was a wonderful series, and the author delivered a satisfying closure. I wonder what she will come up next? I’m certainly going to be on the lookout for her future books. My review was previously published in Blogcritics Magazine. David Cooley and his two best friends travel to the Bahamas for Spring break. There, David meets Faren Sands, the mysteriously beautiful girl who soon mesmerizes him. He doesn’t know who or what she is, or the fact that being together with her could cost both their lives. In spite of his friends’ warnings, David dives not only into forbidden love but forbidden territory, and finds himself in the midst of war between the mer people and the sea demons as they fight for the legendary city of Atlantis. What’s more, the outcome could affect the human race as well. Now, David and Faren must unite in order to save both their kinds. Romance, action, adventure–this is what readers will find in Mythos! Talented debut author Heather McLaren spins a fascinating web that combines humans, the mer people, and the lost city of Atlantis. David and Faren are warm, sympathetic protagonists, and their forbidden love story is sweet, tragic, and compelling. McLaren pays an immense attention to detail, bringing to life the underwater world in full-blown, vivid detail. I think this is the best part of this book, the way the author created her detailed imaginative universe, with many characters, layers, and their conflicts. The battle scenes are exciting and well balanced–gripping and realistic, but not too graphic. 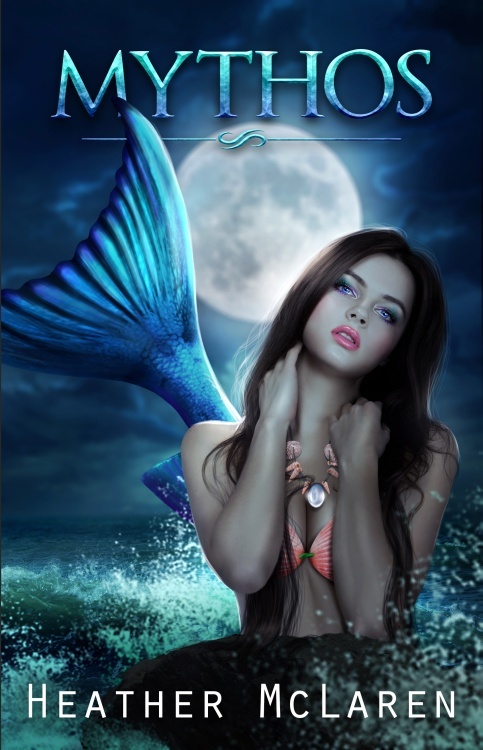 If you’re a fan of mermaid stories, you’ll want to give this one a try! Mind Games is the much awaited third installment in the new adult mystery series, Cassie Scot: ParaNormal Detective. Talented author Christine Amsden keeps delivering a great story filled with interesting characters, romance, mystery, and the paranormal, lots of it. In this episode, Cassie still doesn’t know why Evan broke her heart two months ago, and the mystery gnaws at her big time. She decides to keep busy and make herself useful at the sheriff’s department. She also meets charismatic mind mage Matthew Blair…much to Evan’s distaste. At the same time, Eagle Rock is teeming with hate from the religious community, a reaction to the recent murder of a much-esteemed pastor’s wife by what the people believe was a sorcerer. The town is about to snap, with tensions between the magical and non-magical communities. And in the center of all this, is Matthew, whom Cassie finds irresistible. But can she trust him? According to Evan, no way. But then, Evan isn’t the most objective person when it comes to Cassie. Evan and Cassie have a history, as well as a secret connection, that keeps them bound in spite of themselves. Will Cassie discover the real culprit or culprits behind the pastor’s wife’s murder, as well as the real face behind the anti-magical propaganda and demonstrations? Most importantly, will she wake up and see Matthew for who he really is…and find the courage to face Evan for what he did to her—when she finds out? I love this series and thoroughly enjoyed this instalment! There’s something about Cassie’s voice that makes her really likable. She has a good heart and is witty, too. But best of all, she is just an ordinary girl next door trying to do her best in spite of everything that happens around her—which is usually pretty remarkable, as is often the case in paranormal stories. 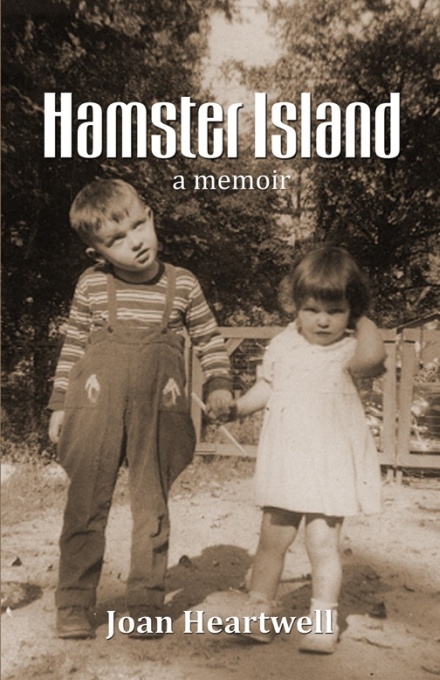 Her relationship with Evan keeps evolving organically and there’s a major revelation in this book about their connection and the secret behind their rival families. Matthew is a great addition to this episode, adding tension with his charismatic personality and inciting sparks of jealousy from Evan. The conflict between the religious and the magical communities is also well done. Mind Games kept me reading late into the night, wondering what would happen next. 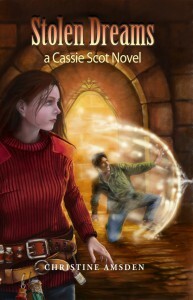 If you haven’t read any books in this series before, I urge you to pick up book one first, Cassie Scot: ParaNormal Detective. The books are best read in order. You won’t be disappointed. My review was originally published on Blogcritics.